This is not my normal genre, at least for reading, but after the introduction by Guran I' m excited to give it a try. It will be like Supernatural only with different characters and more police types investigating. 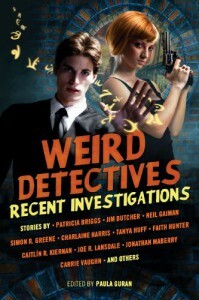 Weird Detectives hopefully fulfills my need of Sam and Dean with a twist of Sherlock. If anything it should be fun to see the various authors mix it up.